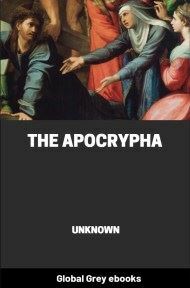 This is a collection of New Testament Apocrypha, including many works which were read by the early Christians, but which were later excluded from the canonical Bible. 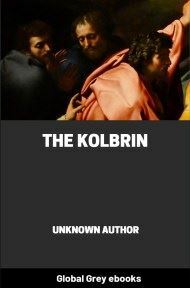 It includes accounts of the young Jesus, particularly the Gospel of Mary and the Protevangelion, which provides additional folklore about the birth and youthful adventures of Jesus. THE great things in this world are growths. This applies to books as well as to institutions. The Bible is a growth. Many people do not understand that it is not a book written by a single person, but it is a library of several books which were composed by various people in various countries. It is interesting to know how this library grew and upon what principle some books were accepted and some rejected. Of course we may take people's word for the reasons why certain books were chosen, but it is always satisfactory to come to our own conclusions by examining our own evidence. This is what this Lost Books of the Bible enables us to do. 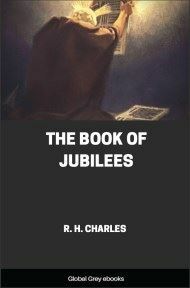 We can examine the books of the Scriptures which we have in the authorized version, and then in this book we can read those scriptures which have been eliminated by various councils in order to make up our standard Bible. It is safe to say that a comparison of the accepted books with those rejected may be relied upon, for those books which were accepted are far superior in value to the others. These others which are included in the Lost Books of the Bible comprise all kinds of stories, tales and myths. No great figure appears in history without myths growing up about him. Every great personage becomes a nucleus or center about which folk tales cluster. There are apocryphal tales about Napoleon, about Charlemagne, about Julius Cæsar and other outstanding characters. It is impossible that a man representing so great a force as Jesus of Nazareth should appear in the world without finding many echoes of His personality in contemporary literature—many stories which grew up about Him as time elapsed. 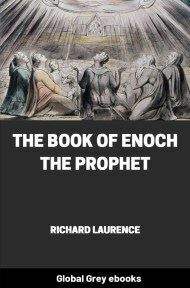 What these tales and stories are, just how He appears to the fictional minds of His day and afterwards, it is interesting to note. Very often the fiction writer depicts life and the great truth of life better than the historian. He does not pretend to write down what is exactly true, but he tinges all things with his imagination. His feelings, however, may be just and reliable. 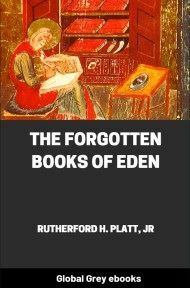 The reading of this Lost Books of the Bible is interesting as a matter of course. All who in any way are attracted by the personage of Jesus are interested to know any stories that may have grown up about Him. They are also valuable because they enable us to get many a point of view which otherwise would have been lost. History may be true, but in a sense tradition is even truer. It has been said that history records what has been, but tradition tells what ought to have been. It must be remembered also that such a thing as historical accuracy is a comparatively novel product. The older writers never dreamed of it. They wrote in order to be interesting, not to tell the truth. And it is a remarkable fact that the events recorded in the Holy Scriptures, as far as we can find out, were most of them veritable, and the chroniclers were truthful. In this volume all these apocryphal volumes are presented without argument or commentation. The reader's own judgment and common sense are appealed to. It makes no difference whether he is Catholic or Protestant or Hebrew. The facts are plainly laid before him. These facts for a long time have been the peculiar esoteric property of the learned. They were available only in the original Greek and Latin and so forth. Now they have been translated and brought in plain English before the eye of every reader. The ordinary man has therefore the privilege of seeing upon what grounds the commonly accepted Scriptures rest. He can examine the pile of evidence and do his own sifting. Thousands of people to-day look to the New Testament narrative as their leader and guide. It is important to know upon what authority this rests, and many a man will be delighted to find the evidence thus clearly presented before him. The Lost Books of the Bible present all sorts of matter before the curious eye. There are stories about Mary and instances of her personal life. There are other stories about the boyhood of Jesus and instances about His crucifixion. All of these become important because of the central figure about whom they revolve. No man has ever appealed to the imagination of the world and so played upon its feelings as has Jesus of Nazareth. It is interesting to know what forms of stories and speculations about Him took place in the early period of the Christian era. In other words, the ordinary man is invited to take his place in that council chamber which accepts and rejects the various writings of Scripture. It is safe to say that the conclusions desired can safely be left to his common sense. It can no longer be said that our Scriptures were accepted by learned men; you do not know that, but you must accept their conclusions. Now it is shown you upon what grounds these conclusions rest. As a believer in the authenticity of our accepted Scriptures I have no hesitancy in saying that I am perfectly satisfied to let the common sense of the world decide upon the superiority of the accepted text.